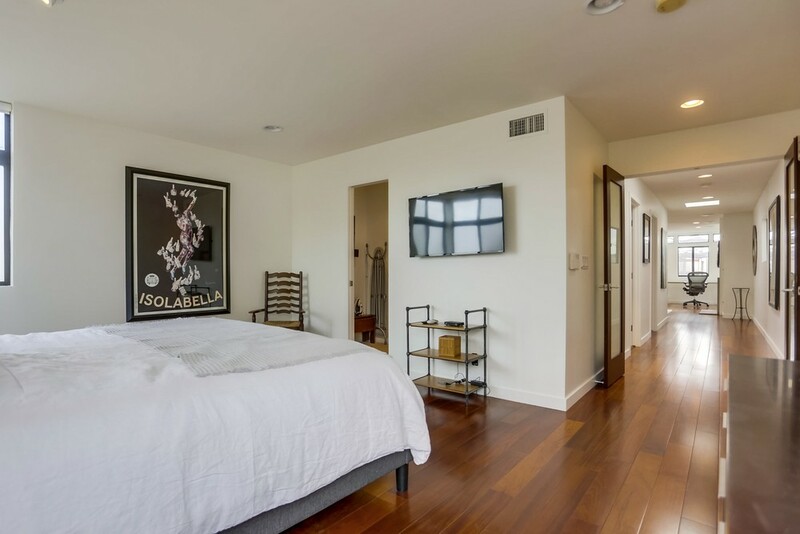 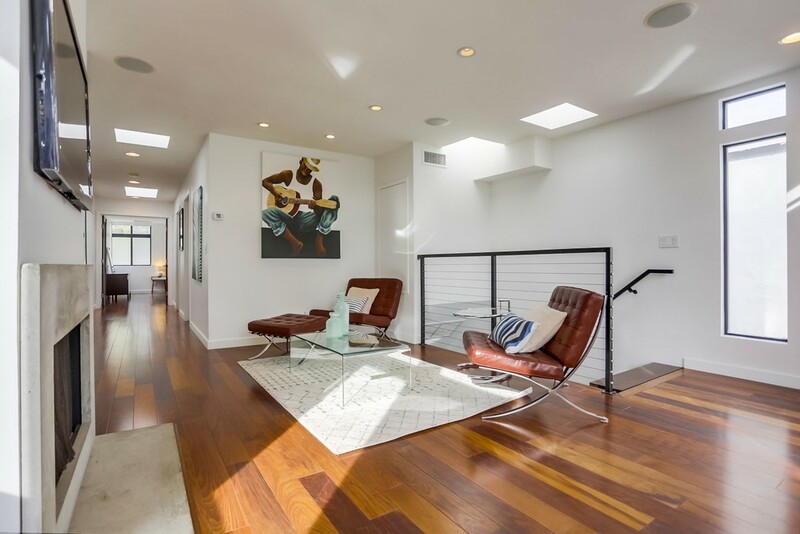 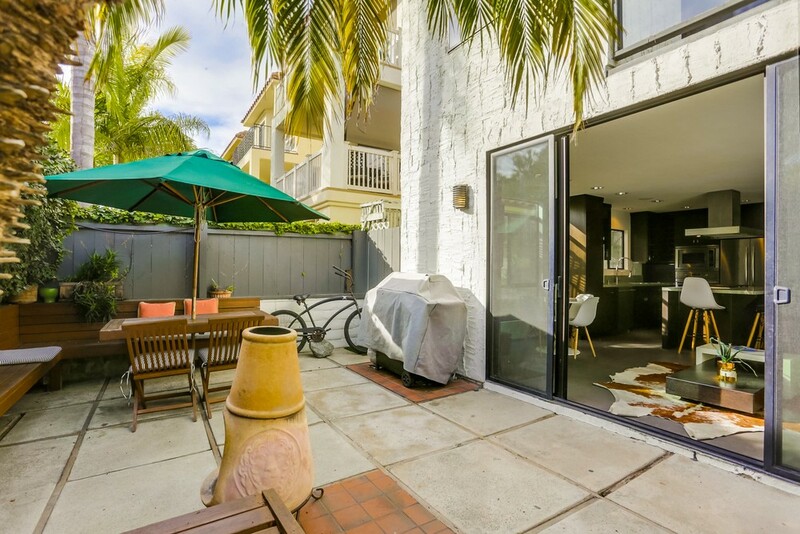 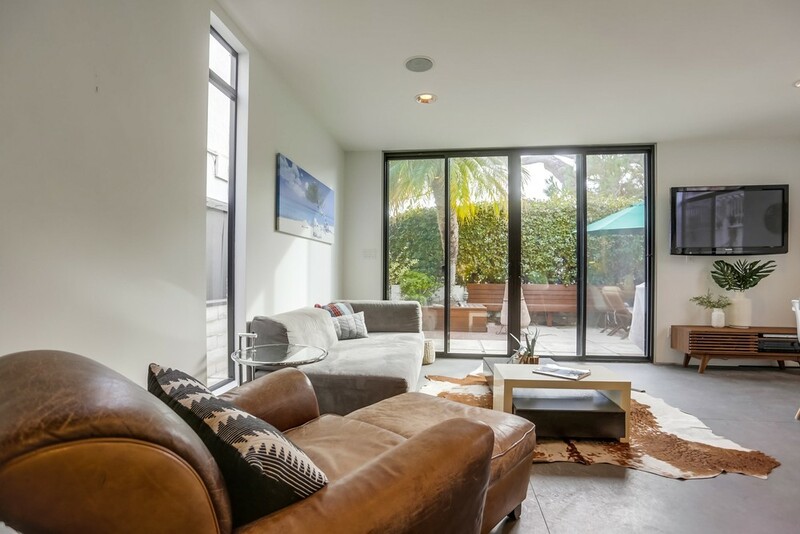 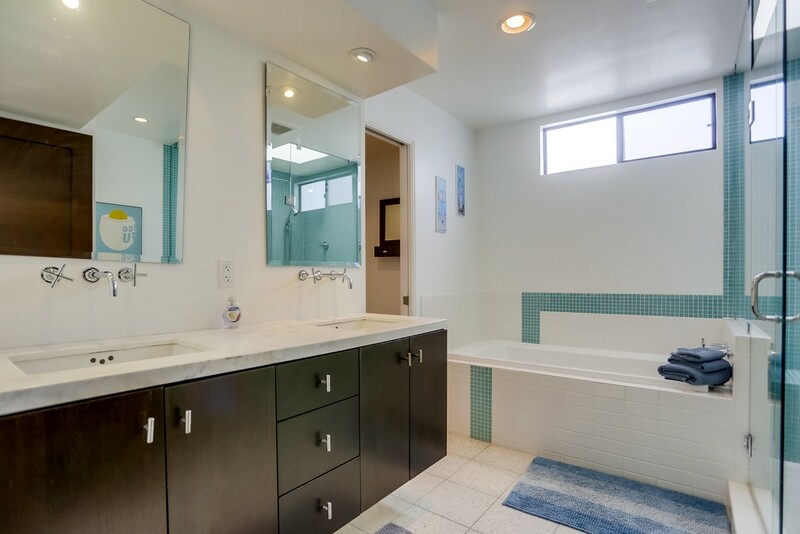 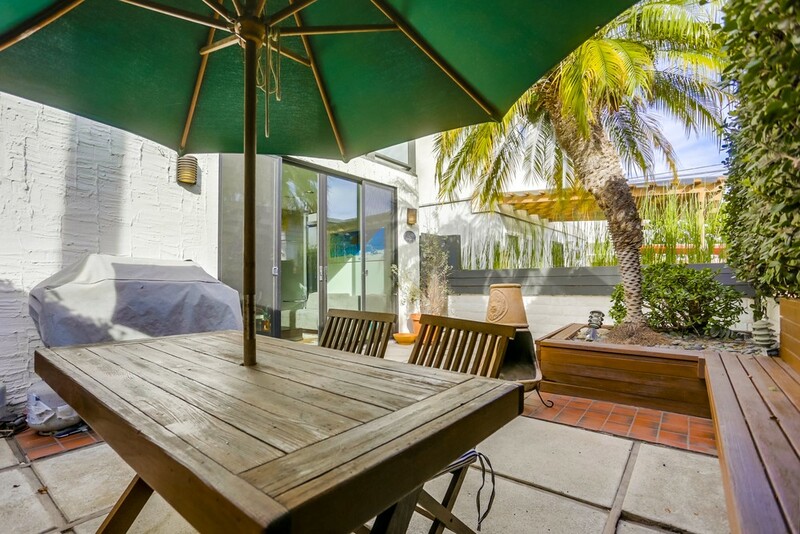 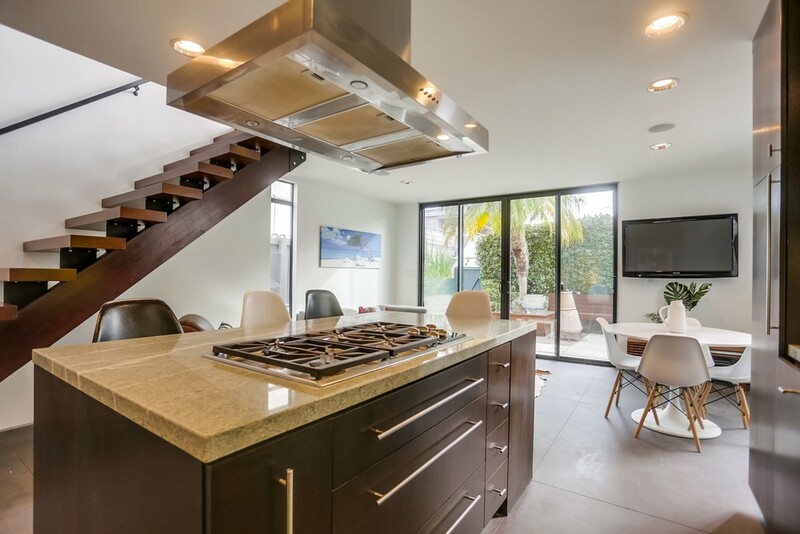 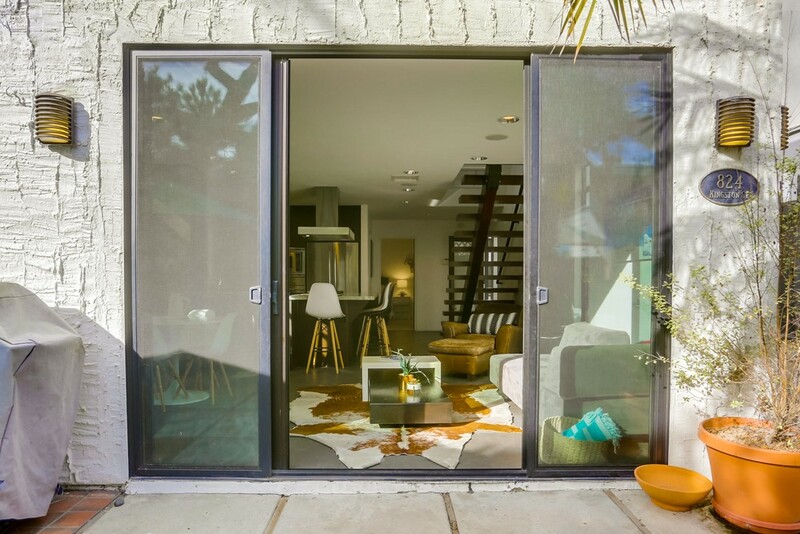 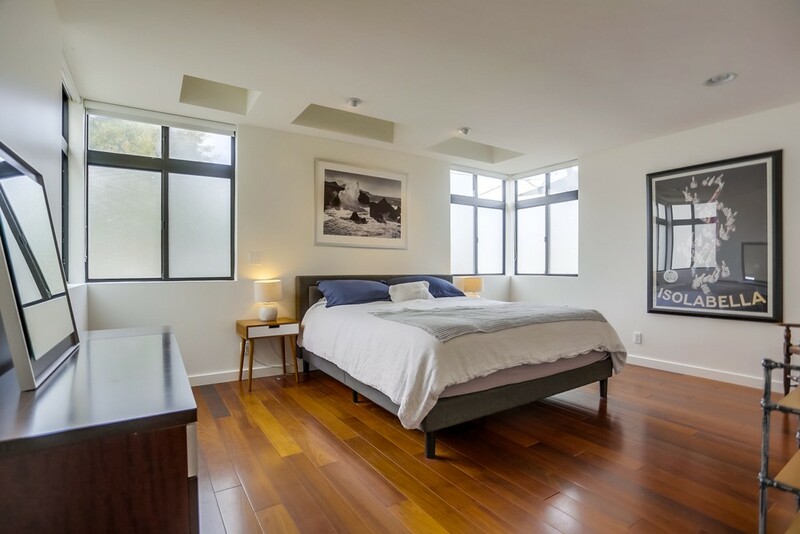 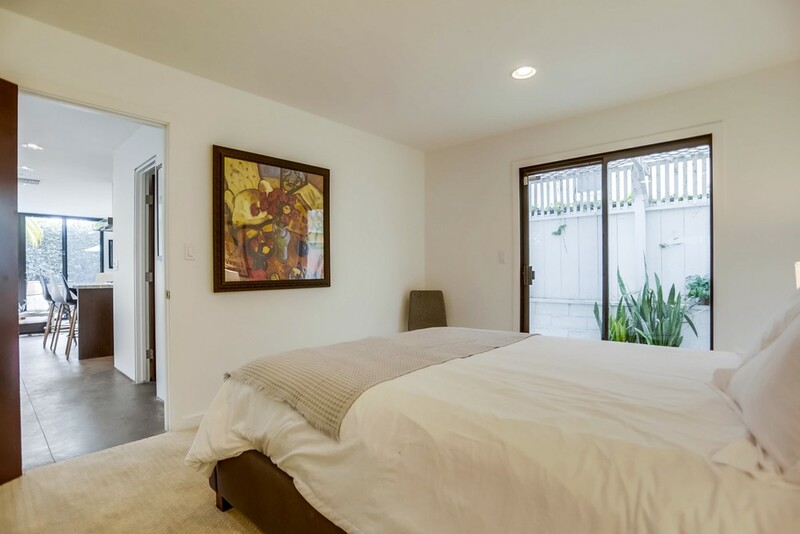 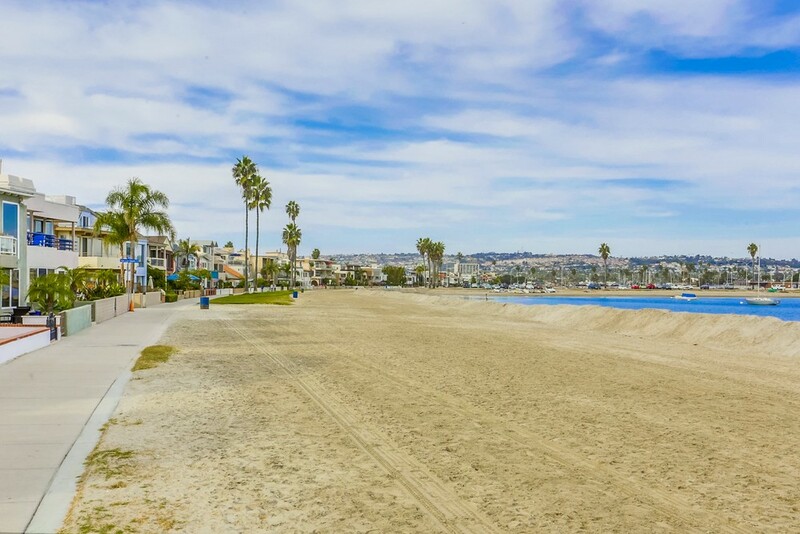 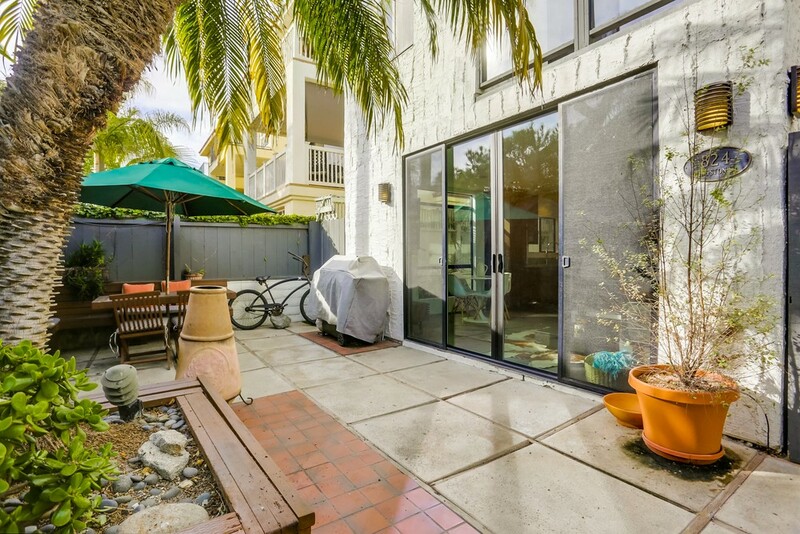 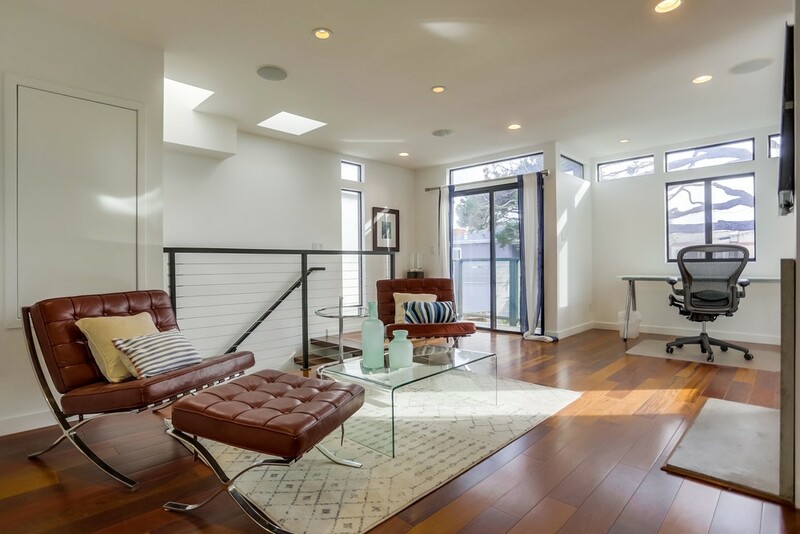 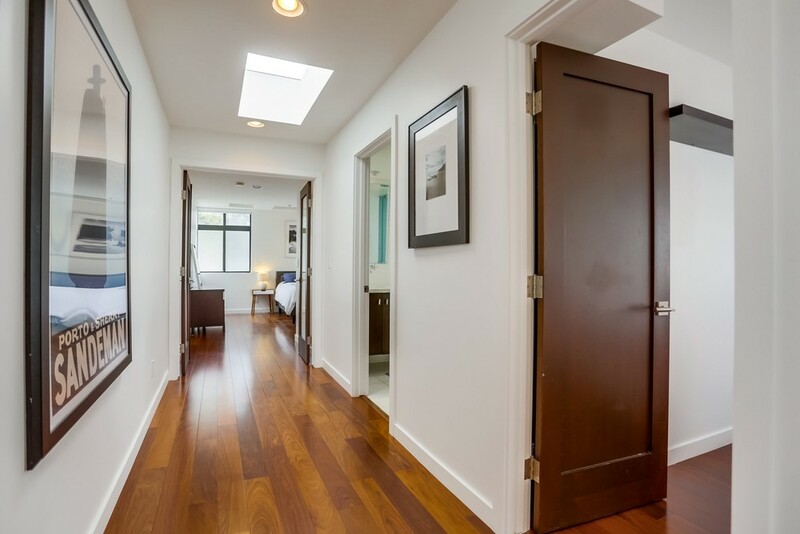 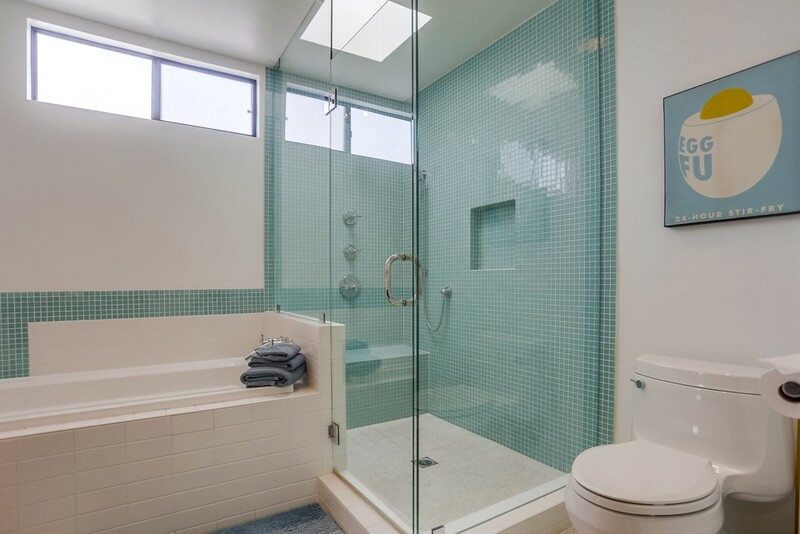 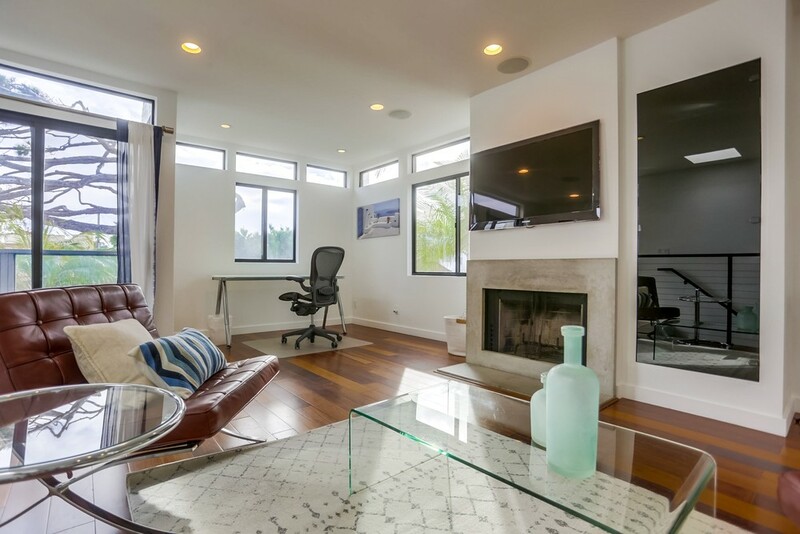 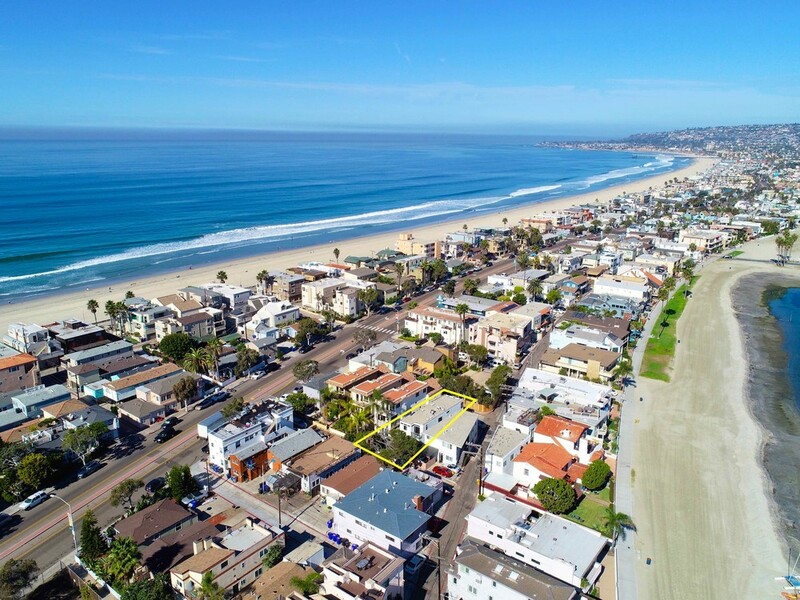 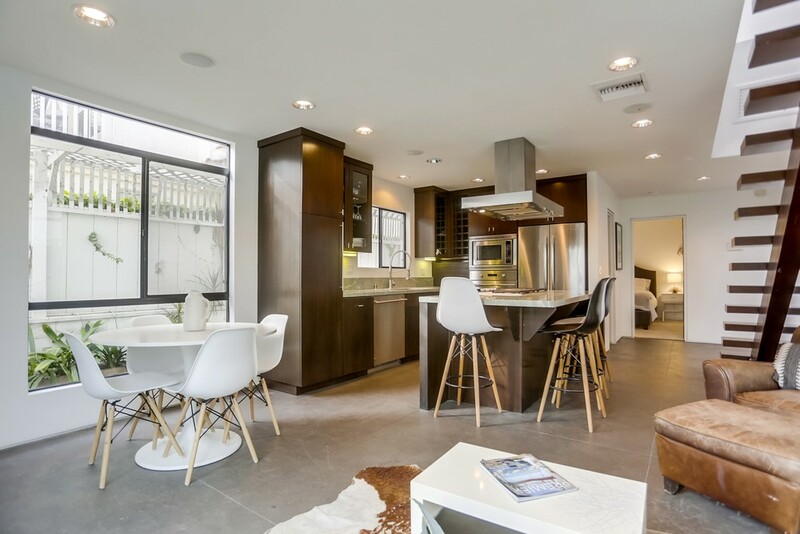 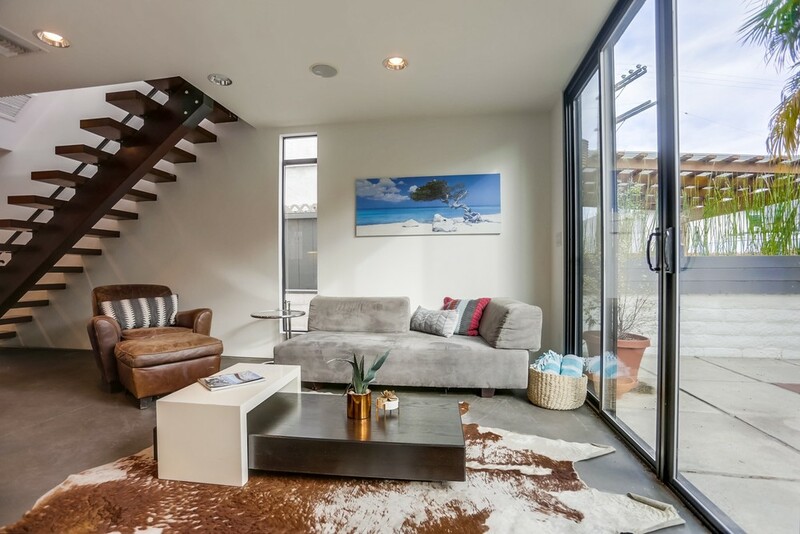 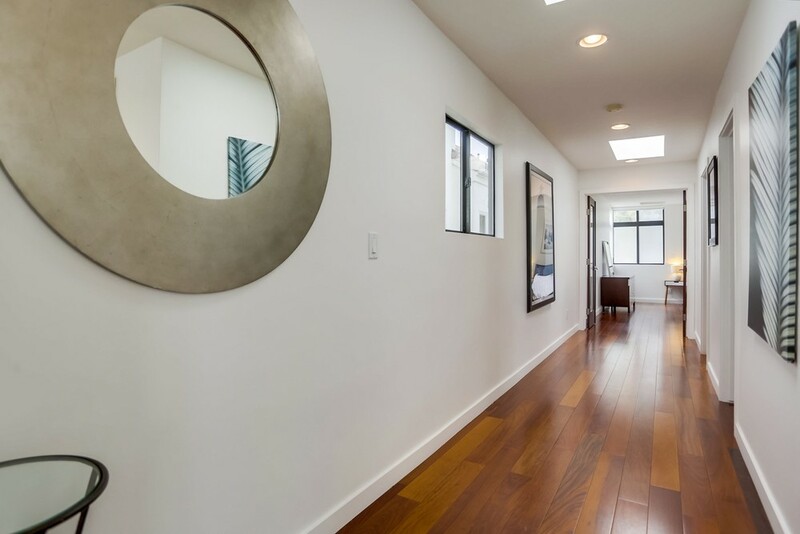 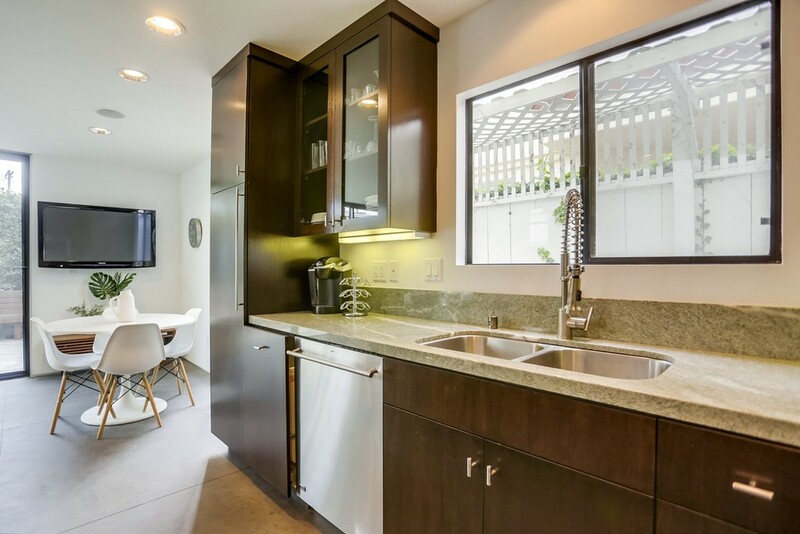 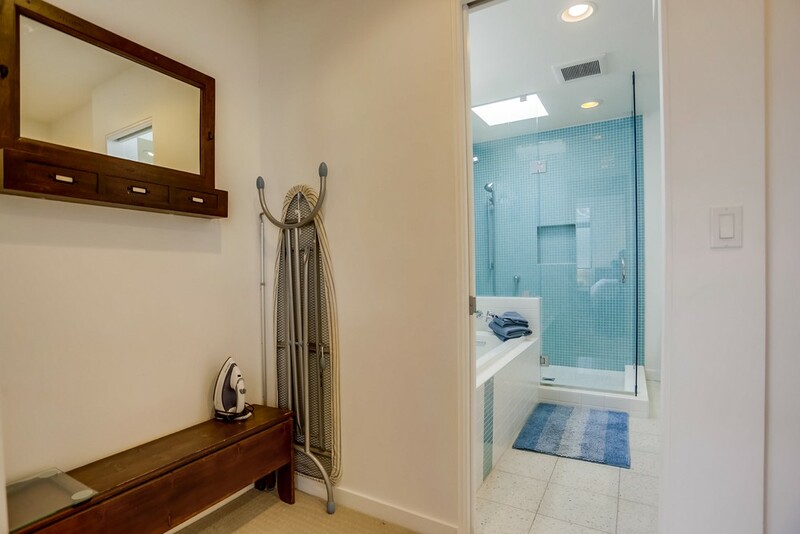 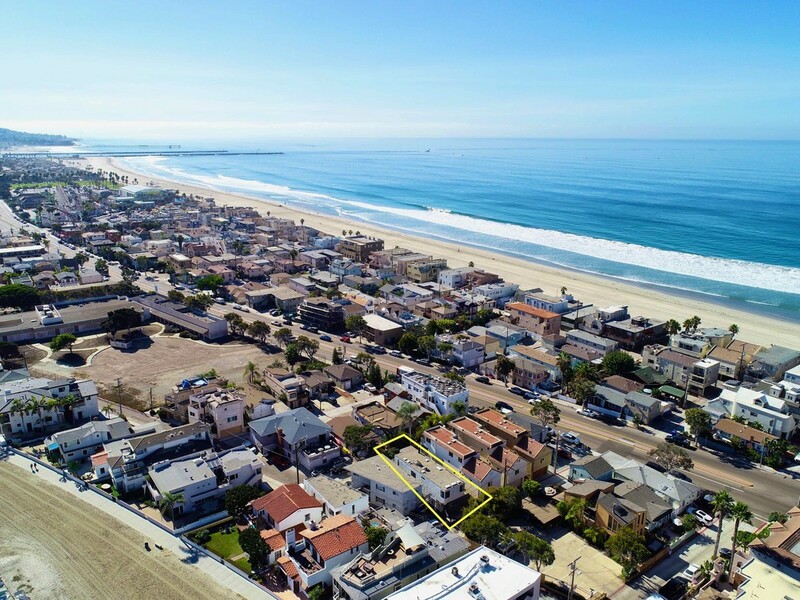 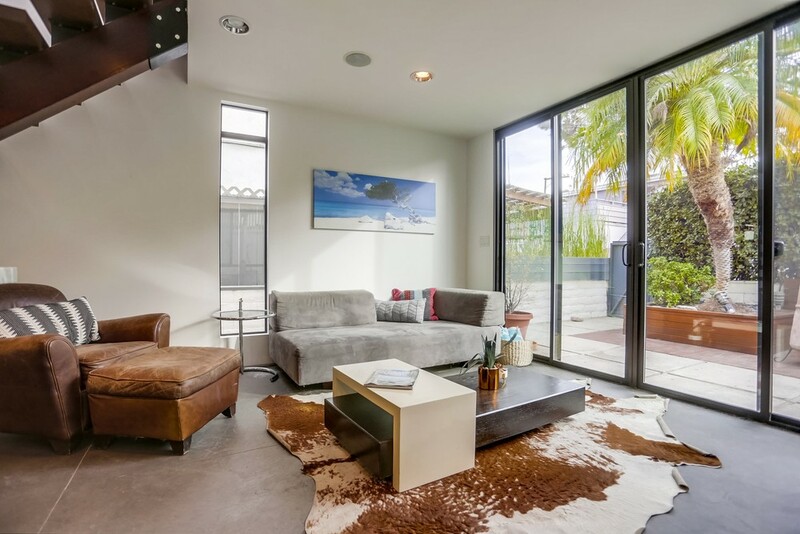 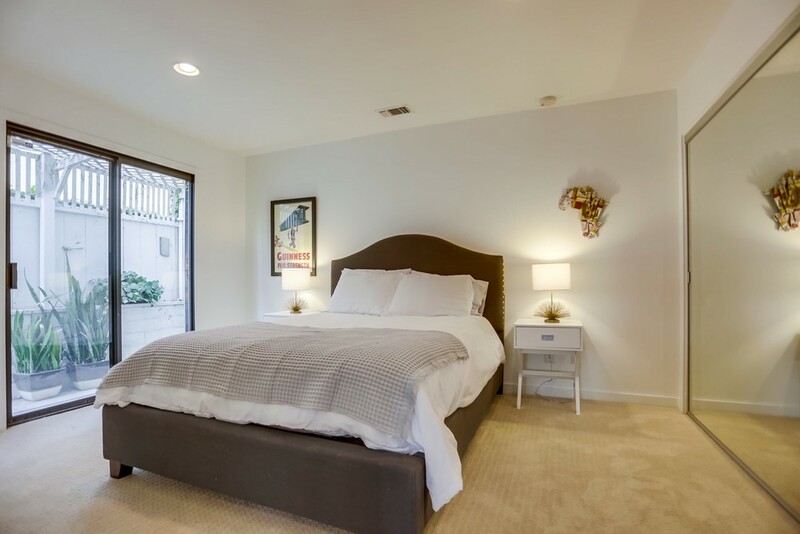 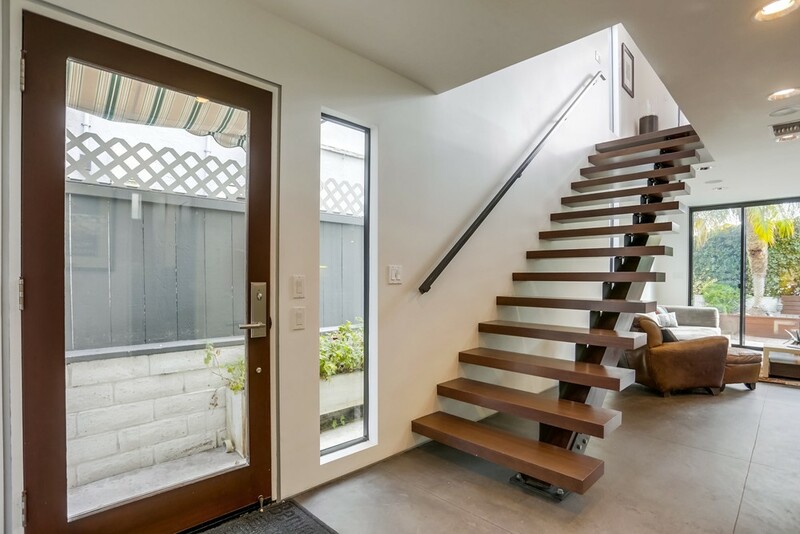 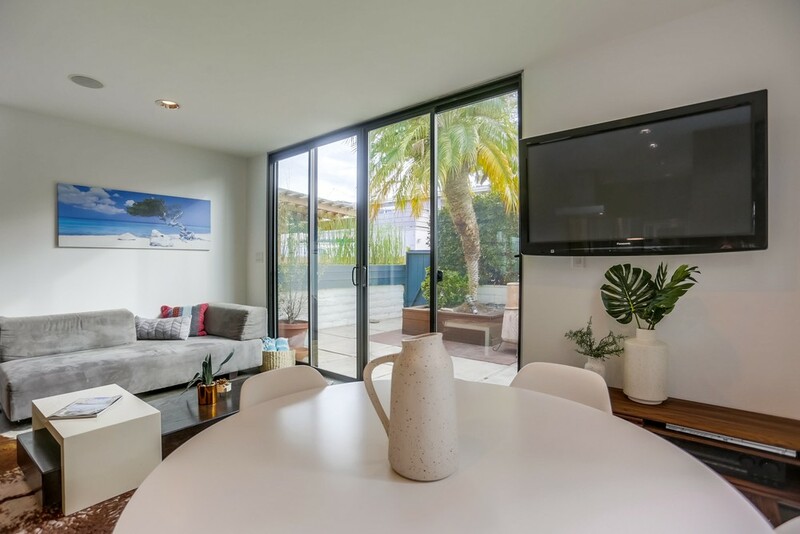 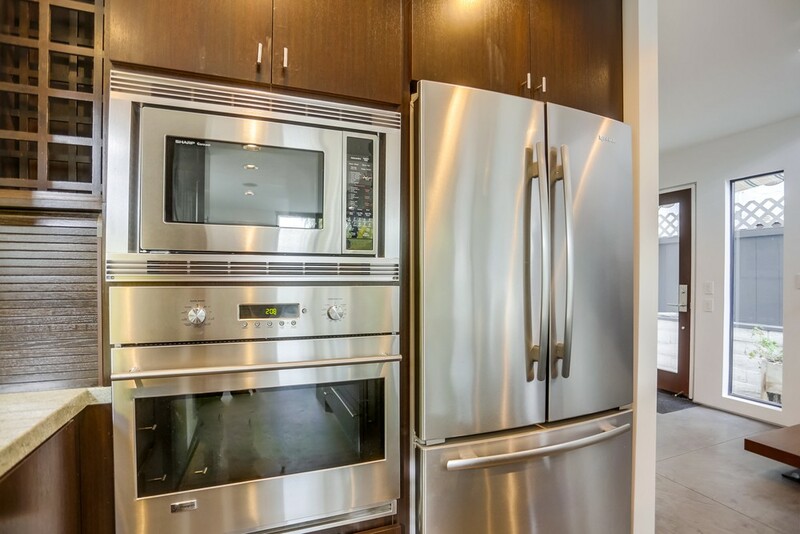 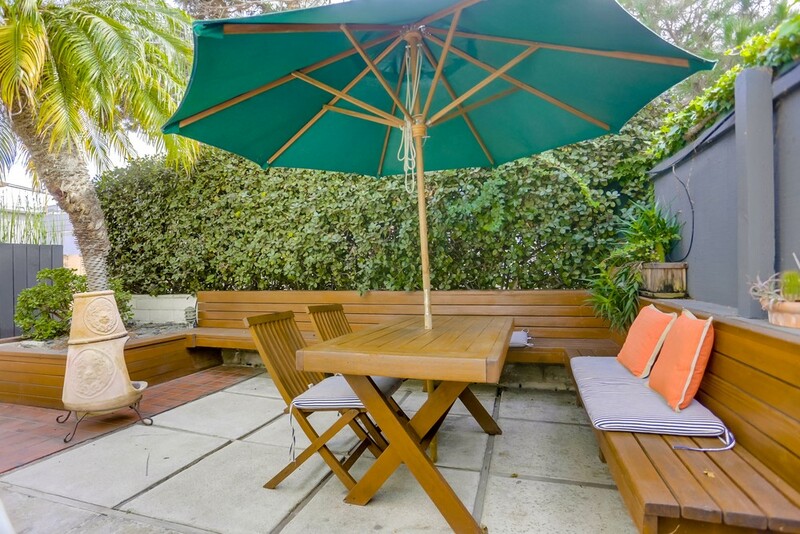 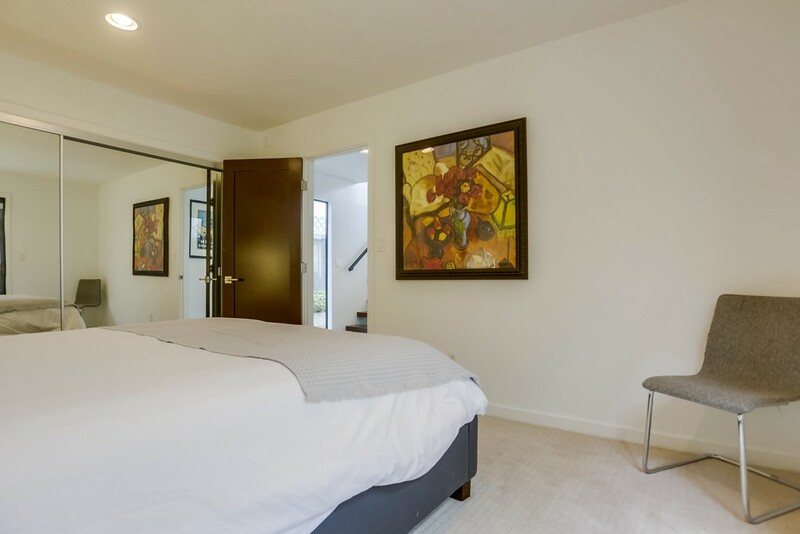 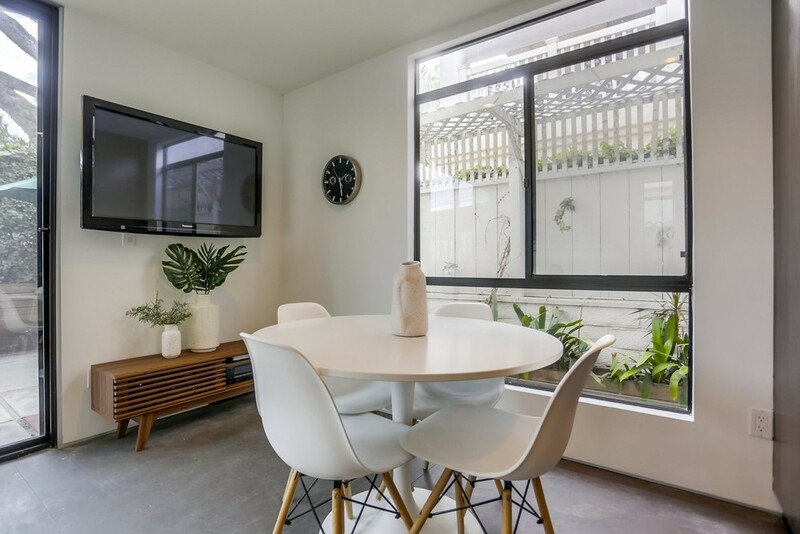 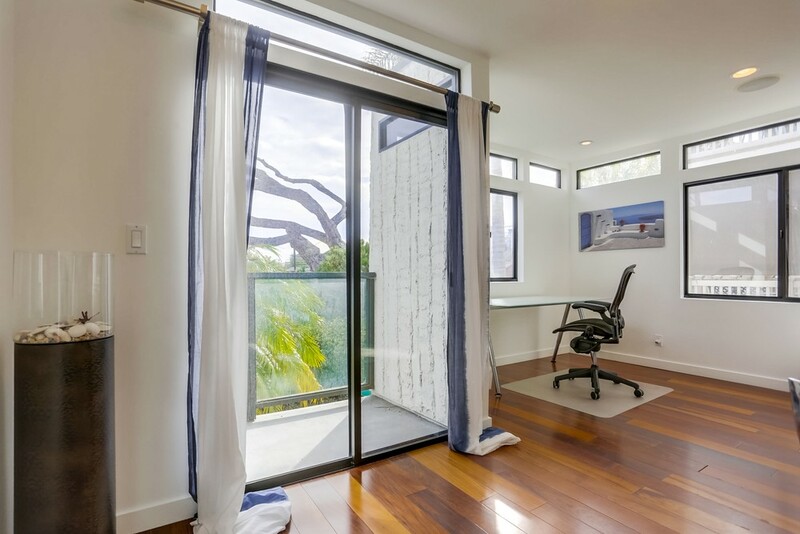 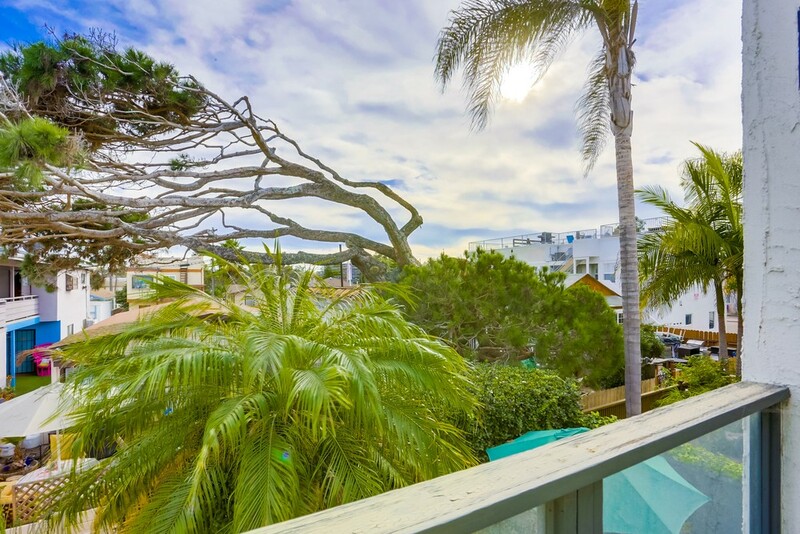 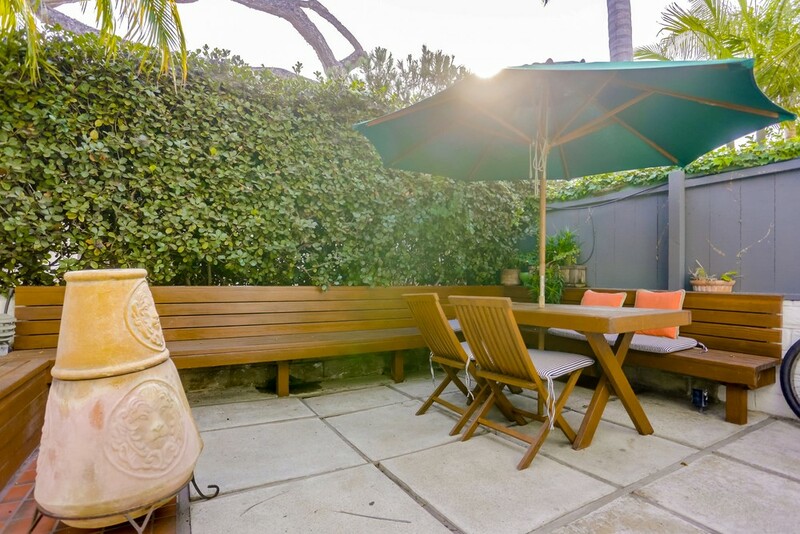 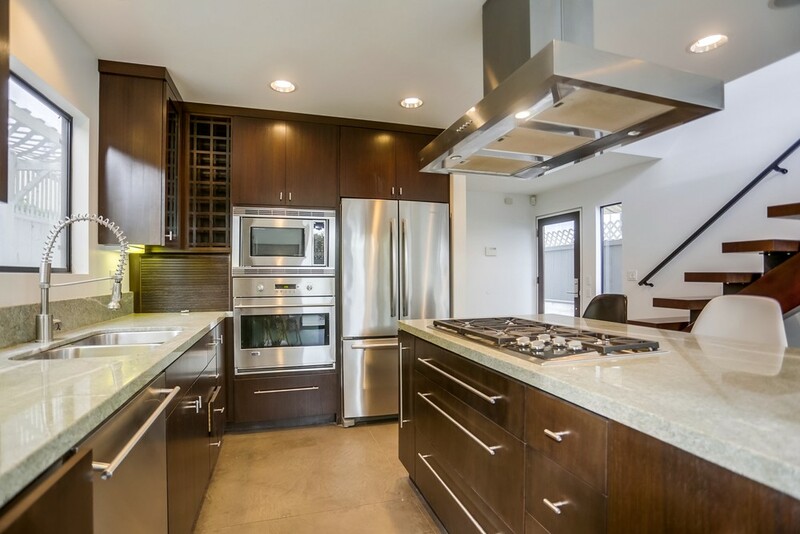 Beautifully updated contemporary single family home on a great court in North Mission Beach. 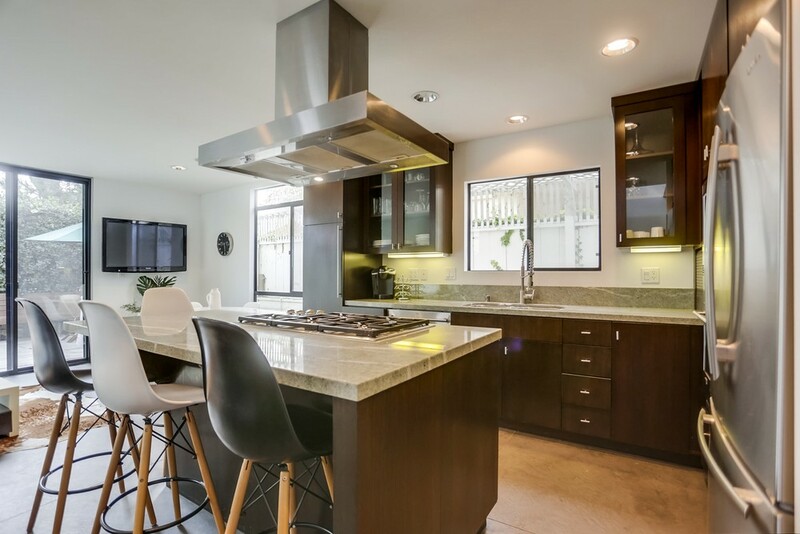 This remodeled home features an open floor plan with a gourmet kitchen complete with stainless appliances and center island. 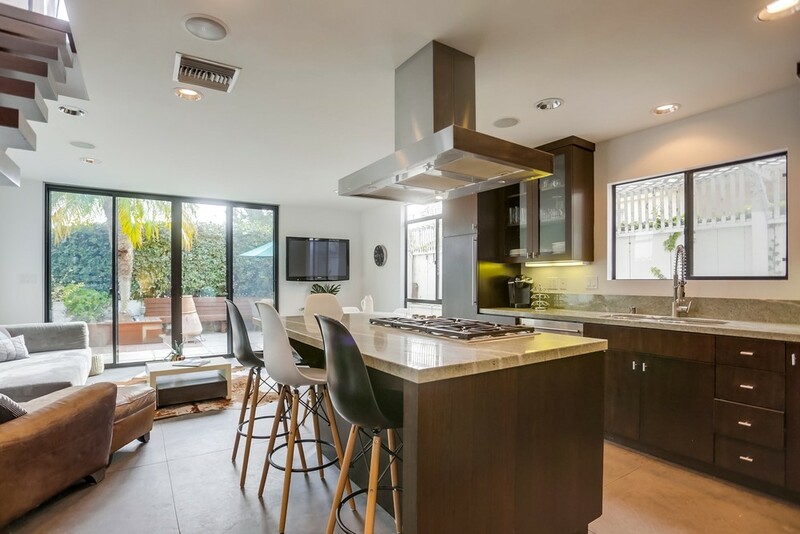 The kitchen seamlessly flows into the welcoming living room which is illuminated by floor to ceiling glass doors transitioning to the spacious and serene south facing patio. 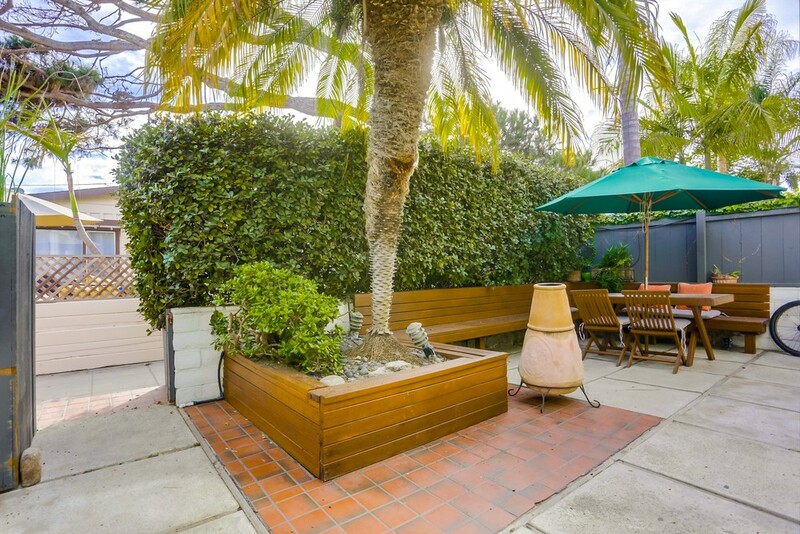 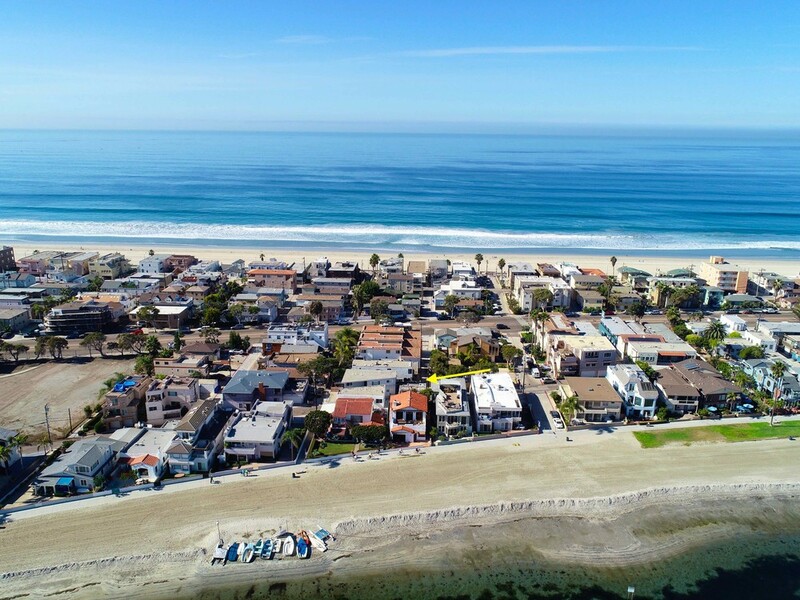 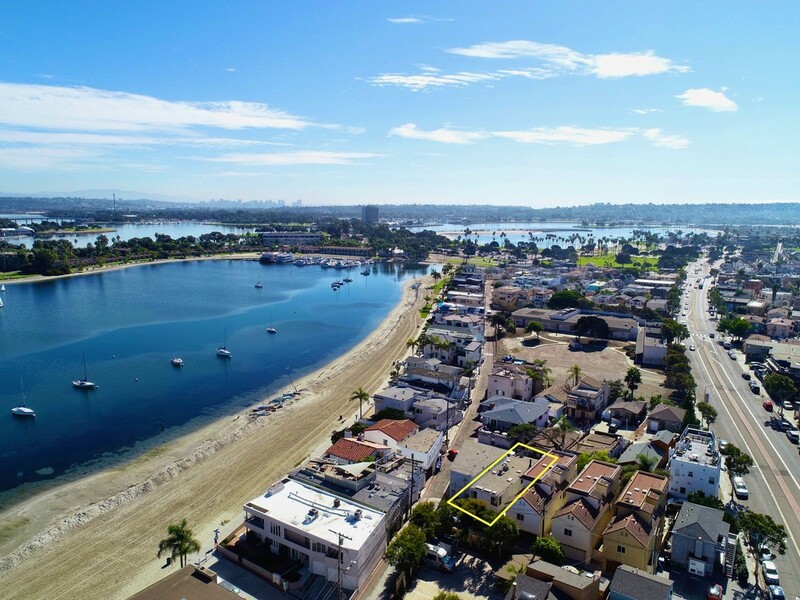 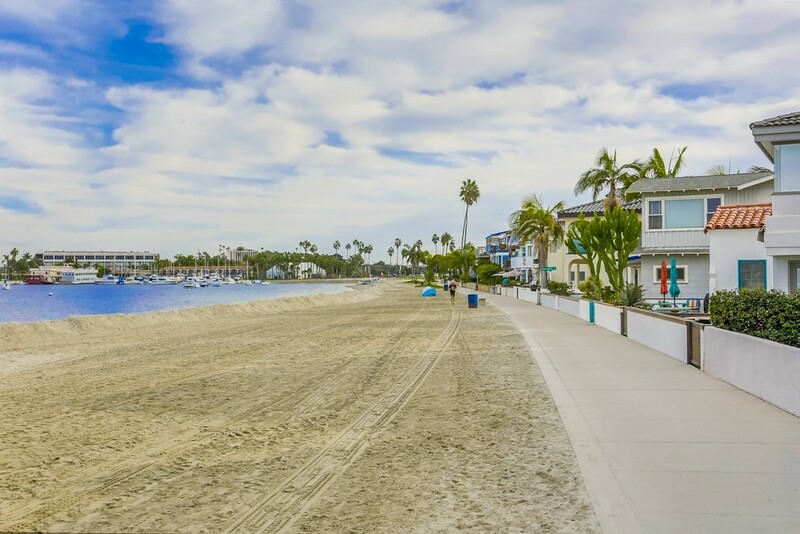 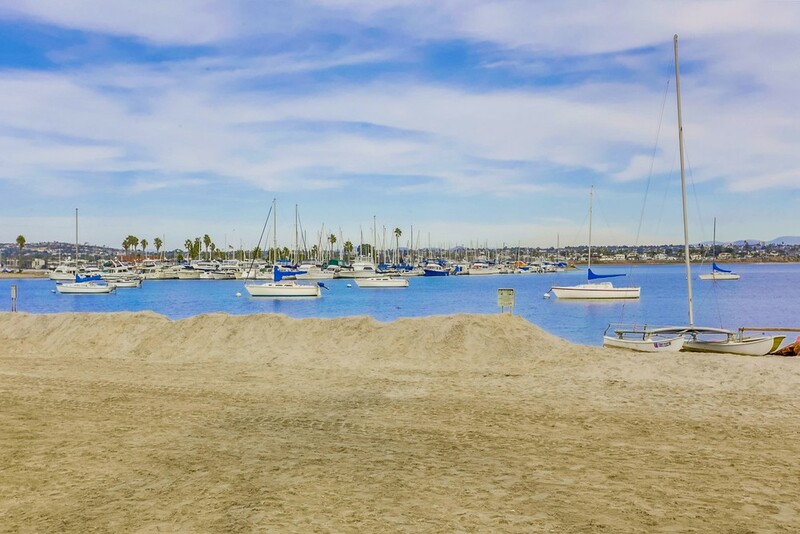 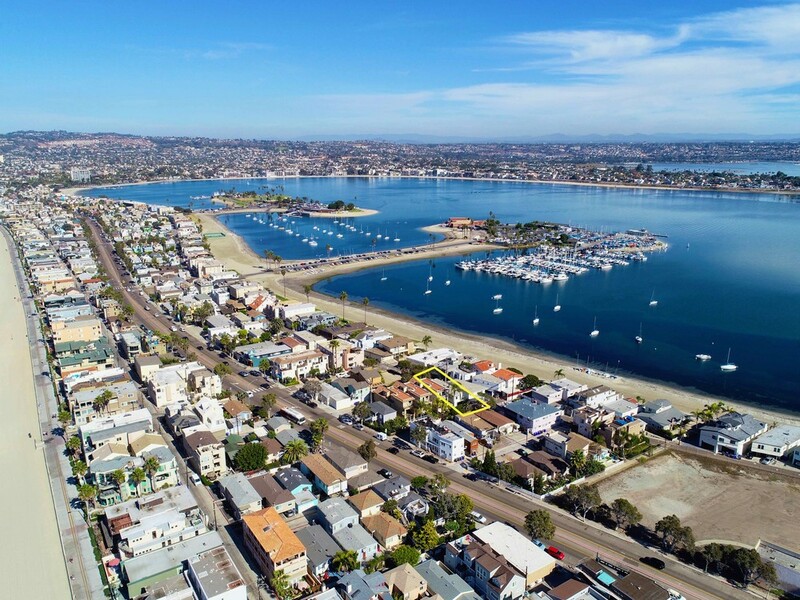 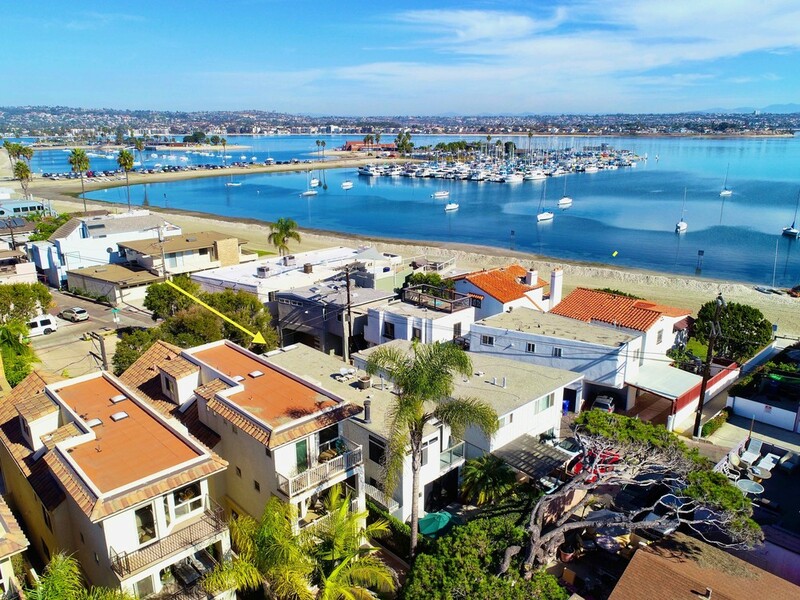 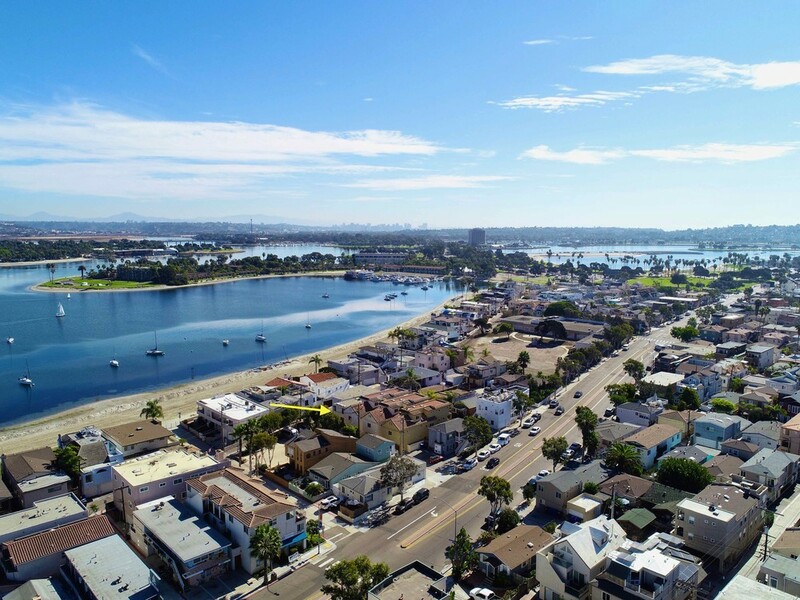 A great location that is steps to Mission Bay or the Pacific Ocean make this a great home to live in or vacation rent. 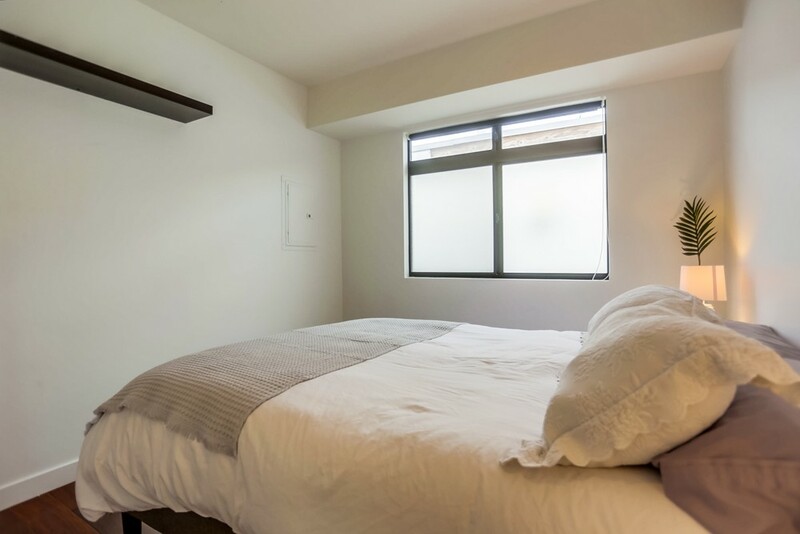 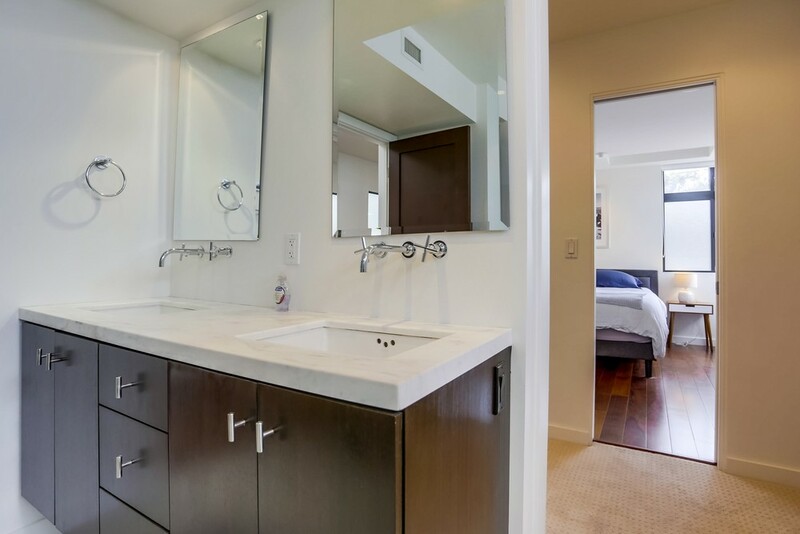 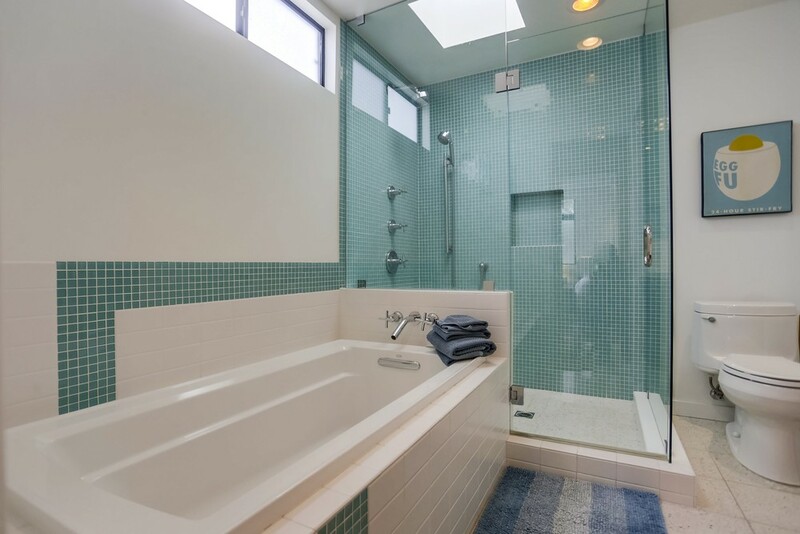 The 1st floor also has a full bath and additional bedroom. 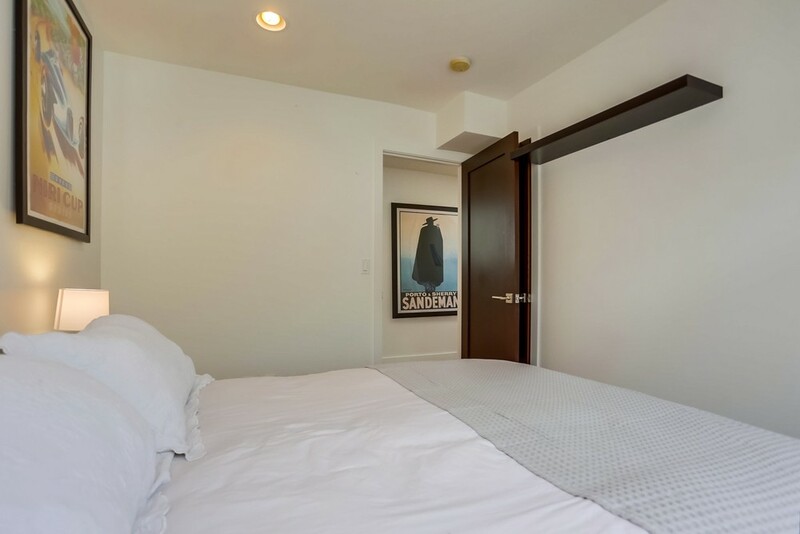 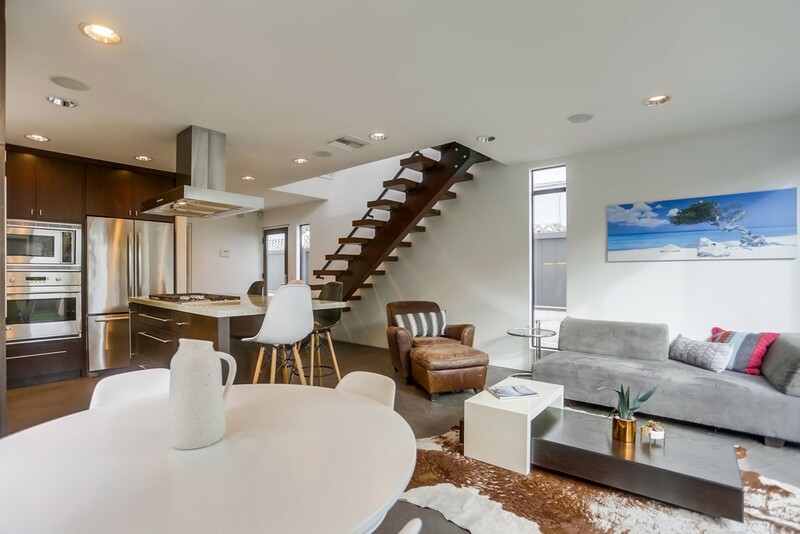 Transitioning to the 2nd floor brings you to a multi-functional family room with office area, fireplace, tv seating area, and south facing balcony. 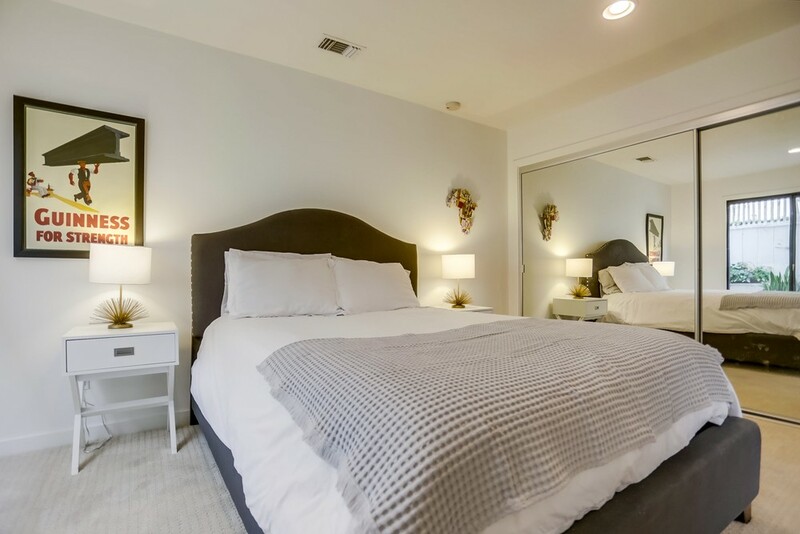 An oversized hall leads to the 2nd bedroom and the grand master suite which boasts a walk-in closet and large master bath. 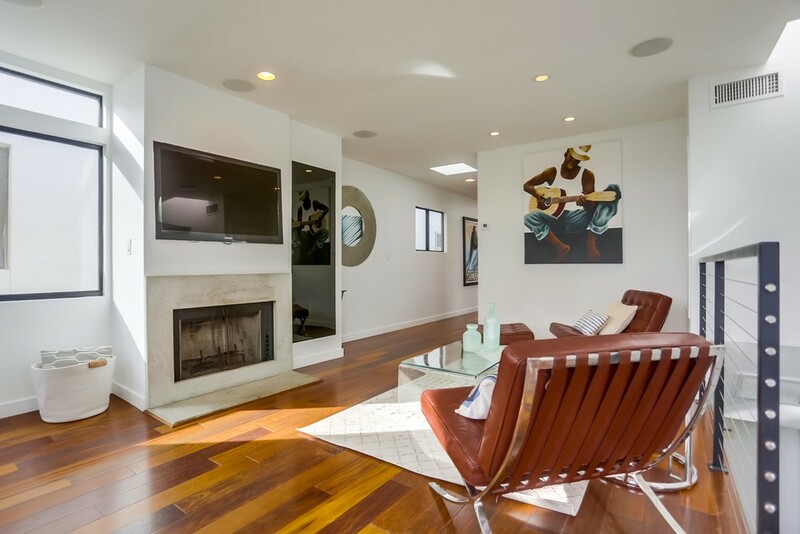 The home is expertly finished with clean lines and high-end materials. 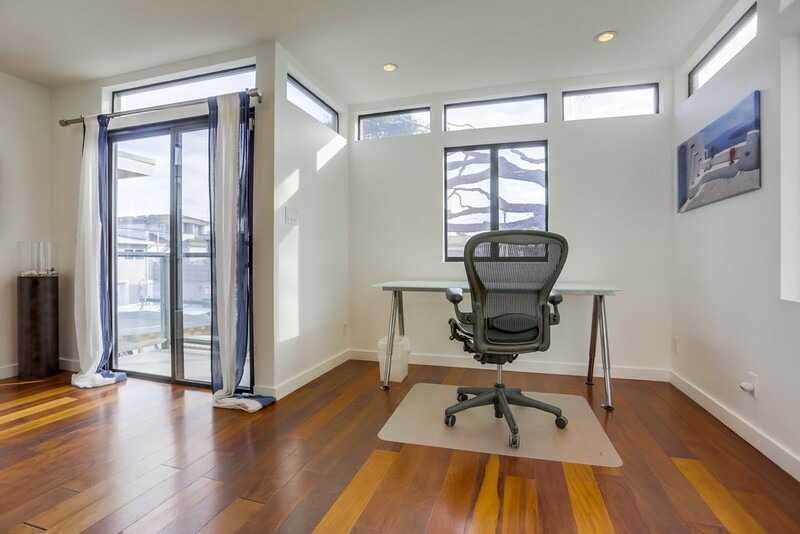 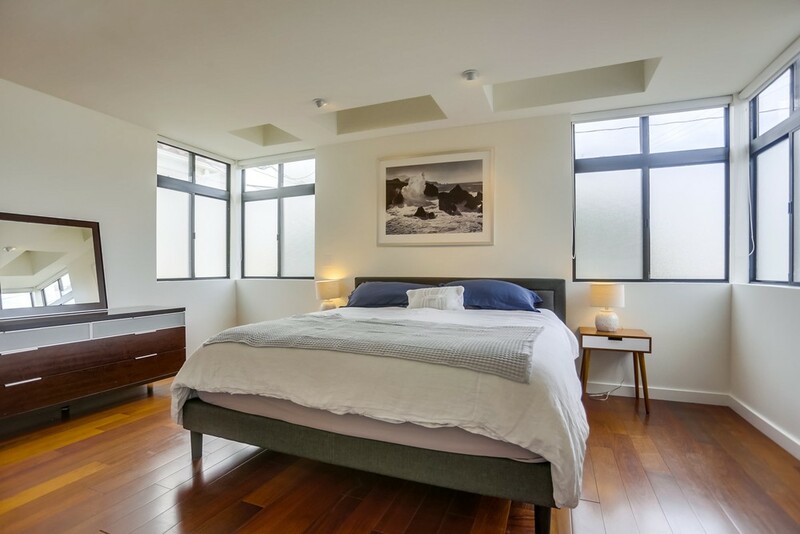 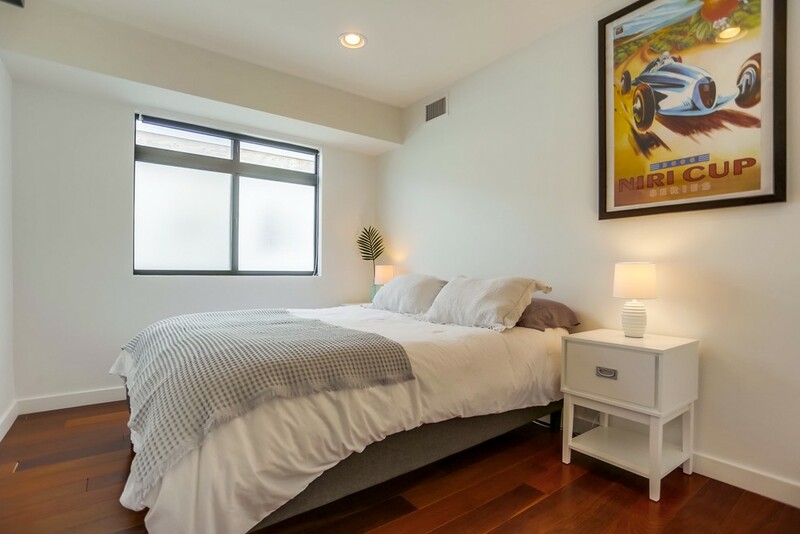 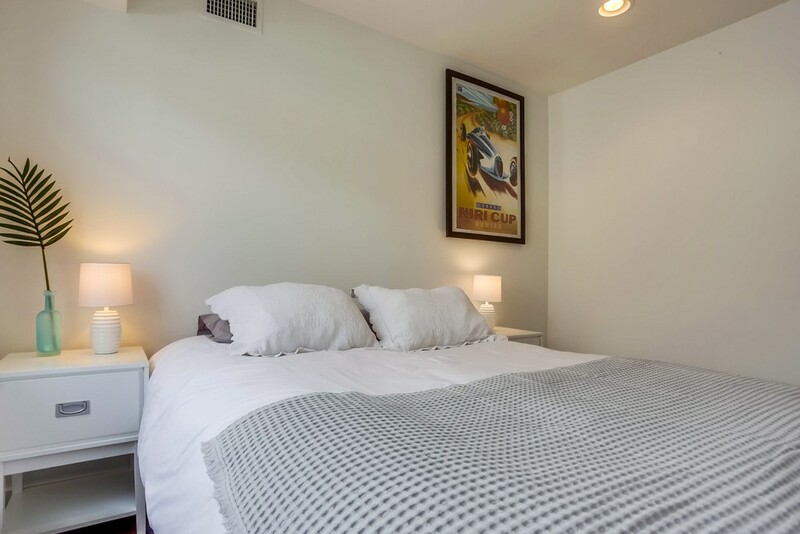 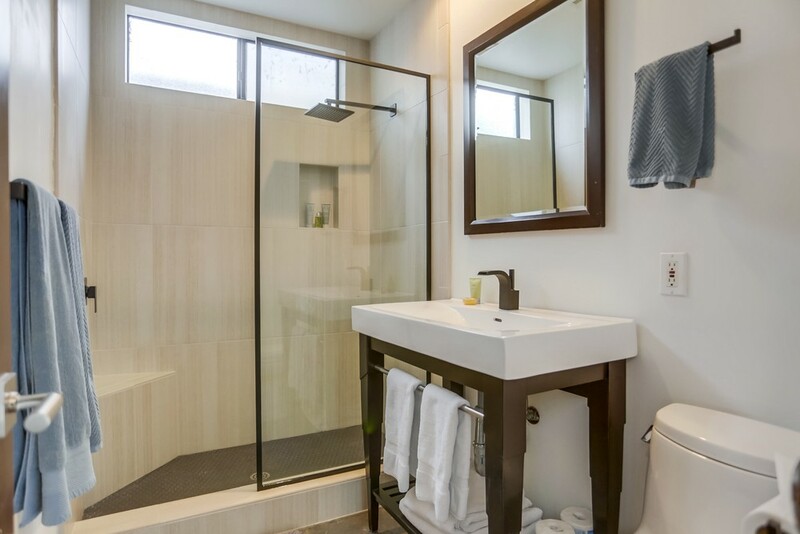 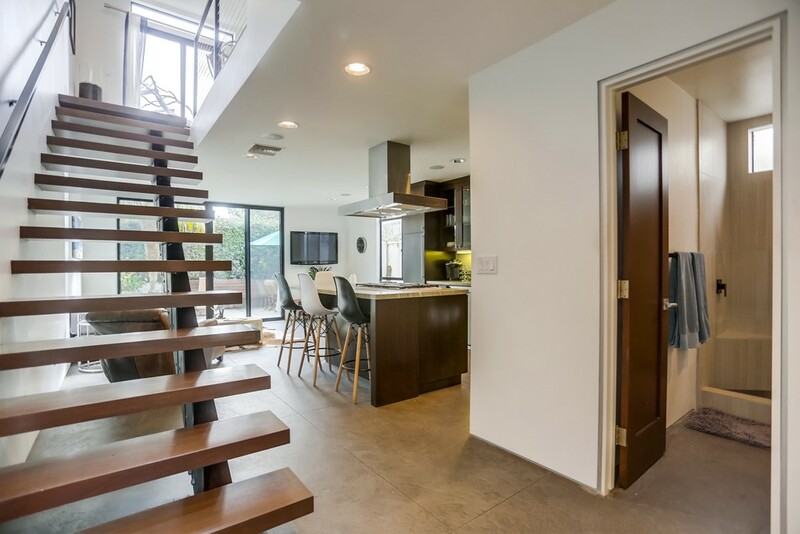 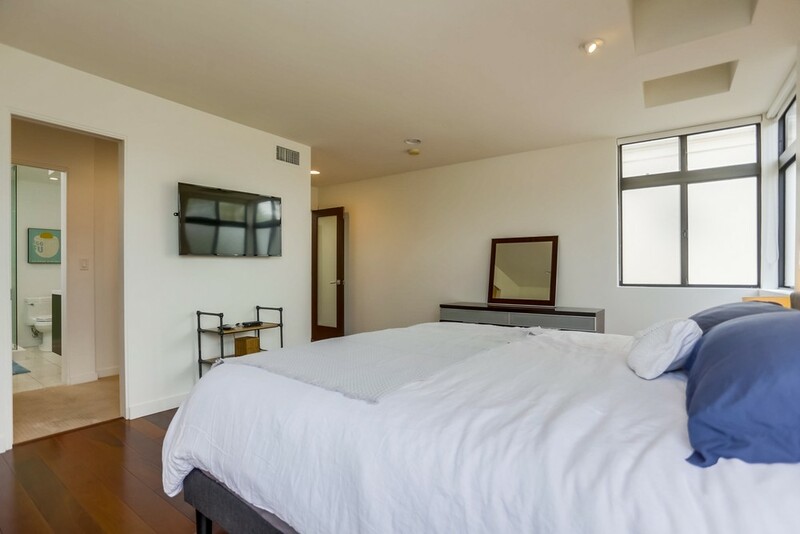 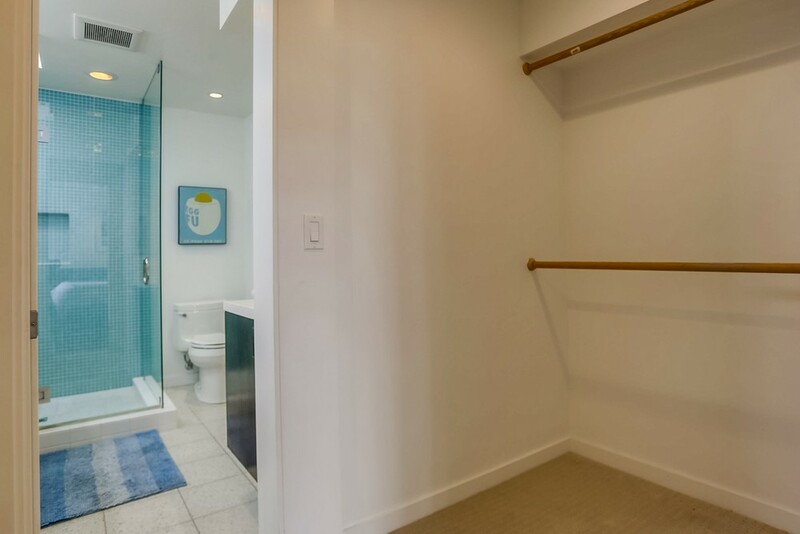 Design choices include in-ceiling speakers, multiple skylights, hardwood flooring, stained concrete flooring, tile showers, outdoor shower, contemporary wood cabinets, central air, and more. 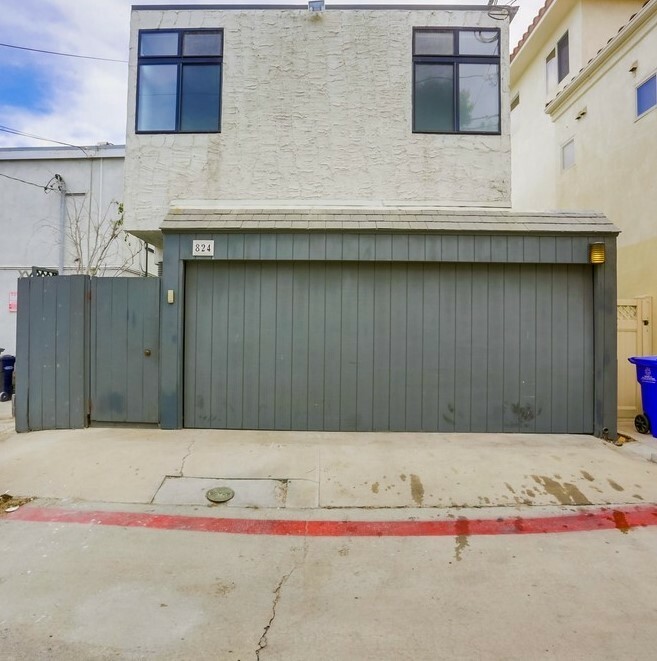 In addition to 2 car garage, there is a spot between the garage door and the alley. 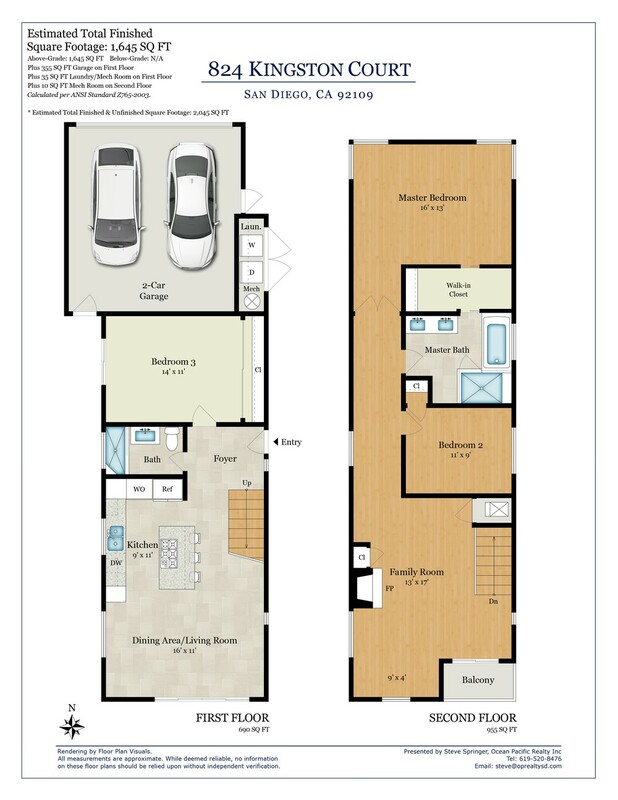 This single family home measures around 1,645 sqft and on a 2,078 sqft lot.